You only go as far as you believe so DREAM BIG! Know that having a debt in collections is a negative mark on your credit report and it could stay remain for seven years. I say could because most people think that they are stuck for seven years and that just isn’t true. There are laws that have been in place for over 30 years that protect you. I will post a separate post about those laws. Your payment history accounts for 35% of your FICO score, so a past due account will mean this score will take quite a hit. The number of points lost due to collections will vary depending on your overall credit history. Generally, the more accounts you have in collections, and the more recent each of those collections, the lower your score. The best advice is to never rely on credit cards as a way of life. They should be used as tools and used properly. Here are 4 ways to build Credit without Credit Cards! So you want to avoid credit cards, eh? Honestly, when you realize that a credit card is just a little plastic card with your name on it and an imprint of a banking institution you take away its power. Credit cards are not evil in and of themselves and really don’t have to be avoid like the plague if you can utilize discipline in your interaction with them. Nonetheless, there are several ways you can build credit if you wish to stay clear of credit cards all together, but keep in mind that the best credit scores are comprised by successfully utilizing a mix of different credit types, including both revolving and installment accounts. The only way to build credit is to ensure that no matter what method you choose, the credit line is being reported to the three major credit bureaus. If not, you won’t be building credit; you’ll just be wasting time and possibly money. Below are a few tips for building credit without conventional credit cards. 1. Get an installment loan. Applying for a small installment loan from your local credit union or bank may be an ideal way to begin your credit profile. Keep the length of the loan short — no more than 24 months and make sure you are using the money to purchase something worthwhile. This method should help you build credit while limiting the amount of interest you pay. It also begins you with a small monthly payment you can consistently budget for. 2.Apply for a secured credit card. Applying for a secured version of a credit card simply means you make a deposit to the issuing bank or credit union, and you get a card with a credit limit of that amount, similar to a prepaid card. Be careful with this method, however, because there can be many outrageous application and annual fees which eat away at the money you deposit. 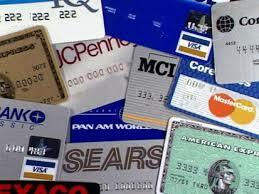 If you bank with one, your credit union would be a good place to look for a secured card. 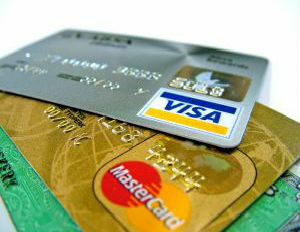 Try to obtain a card that has no application fee and a very low annual fee. You also want one that can convert to a regular, unsecured credit card after 12 to 18 months of on-time payments. 3. Become an authorized user. If someone you trust already has a credit card or loan in good standing, you can ask to be added as an authorized userso that your credit will be linked with theirs. But only do this if you’re confident the person will pay the loan off diligently; any irresponsibility on their part will negatively affect your credit score for the life of the loan. 4. Build your own payment history. Payment Reporting Builds Credit is an alternative credit bureau that gathers data on rent and recurring payments for cable, cell phone, insurance, utility and other bills. This may be beneficial when applying for some limited forms of credit, but it is not necessarily recognized by all lending institutions. Patrice C. Washington, The Wisdom & Wealth Money Maven, is founder of the Mindset & Money Master Class®, the proven step-by-step program that shows you exactly how to create the mindset and skillset necessary to achieve financial success. Will your startup ambitions become a reality in 2012? In a recent study 70% of Americans indicated they want to start their own business but many never take the leap because of lack of knowledge and direction. Let’s face it, starting a business can be intimidating and risk of the unknown is one major hurdle that few are willing to deal with. With a job there tends to be this perception of security and certainty. You show up for work, do your job, and get a paycheck. But in today’s economy, job security is nonexistent, and more and more people are embracing the idea of owning their own businesses. Business ownership and being in control of one’s income is the assurance that people are looking for. Unfortunately, for the people who do make the leap and start a business, a large majority fail within five years according to data from the U.S. Small Business Administration. I bring this up because one of the major causes is lack of funding. While bootstrapping is common among startups it can only take you so far and if the business fails, you may face a lot of personal debt and liability. 1. Protect your personal credit ratings – With corporate credit your business debts and financial obligations would report only on your company’s credit reports. 2. Protect the corporate veil – By separating personal and business credit, you eliminate the risk of piercing of the corporate veil. 3. Limit personal liability – By building a creditworthy company, creditors and lenders will be less likely to require a personal guarantee to secure financing. 4. Conserve cash flow – Many suppliers, businesses, and vendors will extend credit to your business with net 30 to 60 day terms. This allows you to conserve cash while obtaining the products and services your business needs. 5. Limit accumulating personal debt – You can obtain financing for your company without supplying a personal guarantee. Funding programs like accounts receivable financing, trade credit, and merchant cards protect you from facing a lot of personal debt. 6. Maximize financing opportunities – Many lenders, creditors, and suppliers will only extend credit to businesses that meet their corporate compliance guidelines. This includes a business credit listing and ratings with the major agencies. 7. Build a business asset – A business with established credit history and available credit is attractive to potential buyers and investors. It improves the appearance of your businesses’ funding capacity and stability. 8. Limit inquiries – With business credit you stop relying on your personal credit to obtain financing, which limits the amount of credit report inquiries being pulled on you personally. 9. Receive larger credit limits – You can obtain 10 to 100 times greater credit limits from lenders as an established creditworthy business then you can as an individual. 10. SAVE MONEY! Businesses obtain more favorable rates on lines of credit compared to an individual. For example, you may pay up to 13% interest on a $100,000 line of credit whereas a business could qualify for an interest rate of 7%. That would save you almost $40,000 in interest alone. As a startup you will eventually need an influx of cash to cover an unforeseen expense so start business credit building today. Quit jeopardizing your personal credit and run the risk of closing your doors due to a lack of funding. Make 2012 your year for establishing a creditworthy business! Why do credit ratings play such an essential role in our everyday lives? Credit ratings are essential because it indicates how likely an individual, a business, a city, a county, a state, or even a country is able to repay a debt. Each one of these entities has a credit rating and depending on positive or negative factors a rating can be upgraded or downgraded. For example, the U.S. had always maintained a top tier AAA credit rating but recently one of the major credit-rating agencies, Standard & Poor’s, downgraded our country’s credit rating for the first time. As a result America’s cost of borrowing increased by billions of dollars per year, which inevitably impacts consumers with higher interest rates and borrowing costs. It’s no secret that failing to address our long-term debt triggered America’s downgrade according to S&P. While our country still has a very strong AA+ credit rating, this historic move has impacted our country significantly. As consumers we have our own personal credit ratings to be concerned about. A downgrade of our personal credit scores can impact our lives tremendously. In particular, FICO® scores are the most widely used credit ratings in the world. It is recognized as the standard measure of consumer credit risk. You have one score from each of the major consumer credit agencies. This tiny three digit number ranges from 300-850 with 725+ considered the starting point for excellent credit risks. Your score is calculated each time it is requested; either by you or a lender. And each time it is calculated it’s taking the information that is on your credit report at that time. So any negative changes to your credit reports can trigger a downgrade. How much your score changes depends by a variety of factors such as missing a payment, incurring excessive debt, filing for bankruptcy, excessive inquiries, etc. Expect to pay 20-30% more in premiums for car insurance. Interest rates for personal loans can be between 17-26%. Over 70% of major companies will check your credit rating as part of employment screening. A downgrade can impact your chances of obtaining a job. It can prevent you from obtaining housing since many rental property owners check credit ratings during the tenant screening process. You may be required to pay a deposit when opening an account for utility services. It can prevent you from getting a student loan. With a credit rating downgrade you may be denied for a regular cell phone contract and be required to use a pay-as-you-go agreement. As you can see getting your credit scores downgraded effects you in more ways than one. However, there are steps you can take to recover and improve your scores. First, get a copy of your free annual credit reports from each of the major consumer credit agencies. Secondly, review your reports and initiate a dispute if you uncover any inaccuracies. Finally, begin rebuilding your credit reports and review the booklet “Understanding Your FICO® score” to get a better knowledge of the credit scoring process. Don’t get discouraged because you can reclaim your solid credit ratings as long as you take the necessary steps and put the time and energy required to making it happen. It is impossible to get a bankruptcy off. TRUTH: Bankruptcies come off just like any other derogatory that is incorrectly reported, obsolete, erroneous, misleading, incomplete, or that cannot be verified. Remember, the nature of the item has nothing to do with its removal under the Fair Credit Reporting Act. The credit reporting agencies never contact the bankruptcy courts directly, they have account executives that go to gather the information for them. Not only is this information is rarely properly verified but the agencies also won’t ever have the proper documentation to prove how they verified this account. The credit agencies are required by law to keep derogatory items on your credit report for 7 to 10 years. There is no law that the credit agencies report anything on you at all. Just the opposite is true! Credit Agencies are required by law to automatically remove all derogatory items older than 7 years or in the case of a bankruptcy, 10 years.